COMEDY. Princess Camilla, an annoying fashion snob, continually criticizes her classmates’ fashion choices at Fairy Godmother’s Finishing School for Charming Princes and Princesses. Tired of Princess Camilla’s tirades, her classmates decide to teach the foppish fashionista a lesson by sprinkling her hair with frizzy hair dust. 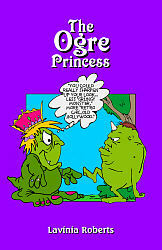 But the mislabeled magic dust accidentally transforms Princess Camilla into a hideous ogre. In exchange for a fashion consultation, Rumpelstiltskin escorts Camilla and her classmates into the Enchanted Forest to visit three witches to reverse the spell. Despite using a freshly brewed potion, the witches’ attempt to turn Camilla back into a princess fails. Then as the students head back to the castle to seek help from the Fairy Godmother, they get lost and run into a troublesome trio of trolls who face off with Camilla. Audiences will love the fashion show finale when the characters strut their stuff on the runway and reveal their makeovers to the audience.